Celtic manager Gordon Strachan today confirmed the pre-contract signing of Hibernian captain Gary Caldwell. Quickly following on from the end-of-season capture of Wolves striker Kenny Miller, the Bank of Scotland Premier League leaders have strengthened their back four for the future with the summer arrival of the Scotland international central defender. It was the worst kept secret in football and the imminent arrival prompted a section of the Hibernian supporters to jeer the 23-year-old during their defeat to Aberdeen at Easter Road last week. But the Hoops boss admitted this afternoon that Caldwell would join Miller in moving to the east end of Glasgow in the pre-season. 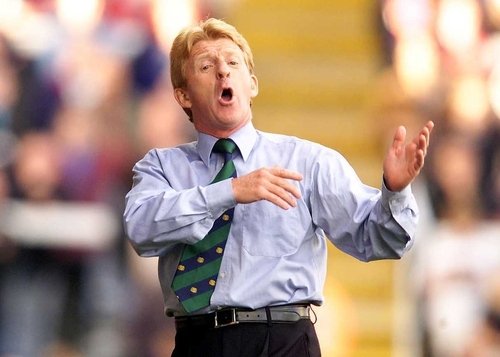 Strachan said: "He's coming here in the summer and there will be no deals done now."